In our efforts to support customers throughout the decontamination and decommissioning (D&D) process, ORAU's independent team of health physicists provides the final expertise required to confirm a job well done—independent verification of all final status assessment data. With this process, we provide assurance that remediation was effective and that all final status survey requirements have been accomplished and documented. The resulting data from verification helps to clearly demonstrate that all property release guidelines and criteria have been satisfied. Following the final status survey process (FSS), our team of health physicists will perform an independent evaluation of the site’s final status survey processes and procedures. With the guidance of documents such as MARSSIM, NRC’s Consolidated Decommissioning Guidance (NUREG-1757) and MARSAME, our experts will evaluate the integrity of the initial site assessment and characterization compared to the site’s post-decontamination conditions to verify that the site is ready for a safe release. 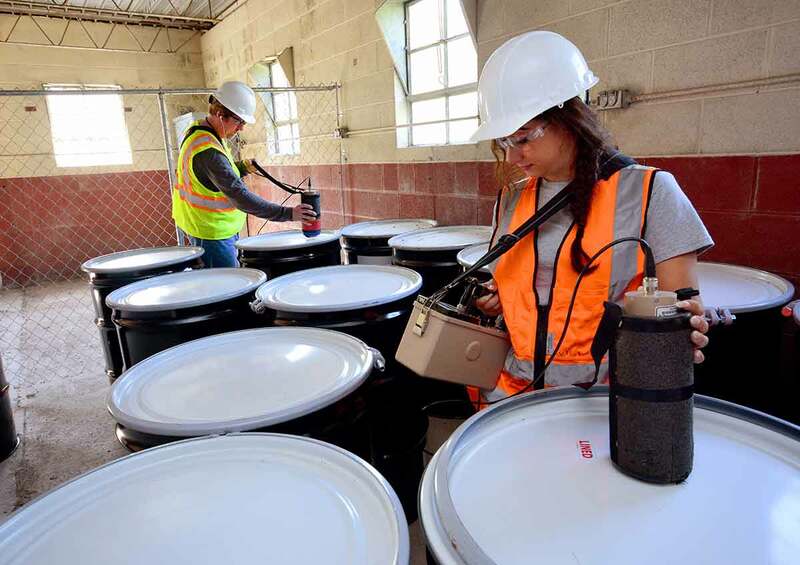 After our team performs and records evaluations of the post-remediation site conditions using our specialized radiation detectors and monitors, spectrometers, global positioning systems and other equipment, samples are collected for analysis. Through proven survey processes and developed procedures continuously refined over the last 35 years, ORAU works with customers to minimize the risk of releasing property that does not meet the criteria. ORAU was a key contributor to writing the Multi-Agency Radiation Survey and Site Investigation Manual (MARSSIM) and later created the first MARSSIM training course. The development of MARSSIM was sponsored by U.S. Department of Defense, U.S. Department of Energy, U.S. Environmental Protection Agency and U.S. Nuclear Regulatory Commission to provide radiological survey guidance. MARSSIM outlines methods for planning, implementing and evaluating radiological surveys to best meet dose- or risk-based regulations.